There are so many things that make this the perfect holiday dessert…where to begin, where to begin… First, and most importantly, EVERYTHING is make ahead. 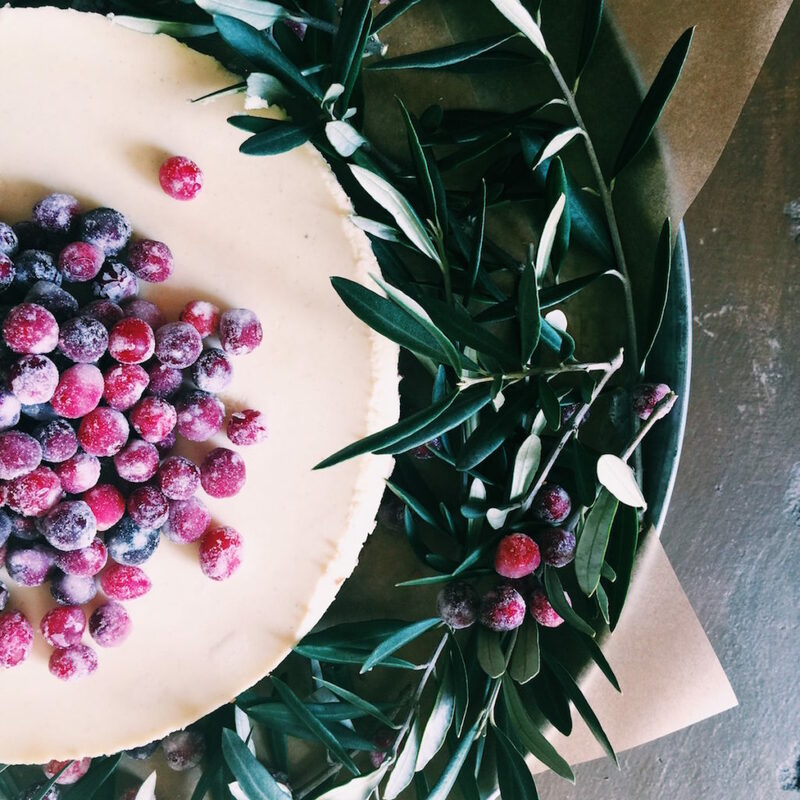 You can make the sugared cranberries and the cheesecake several (up to three!) days ahead of serving. Plus, it’s pretty easy to make, as long as you follow the tips below: mix your ingredients slowly and use a water bath…oh, and gradual temperature changes. All three of these things make for zero cracks. 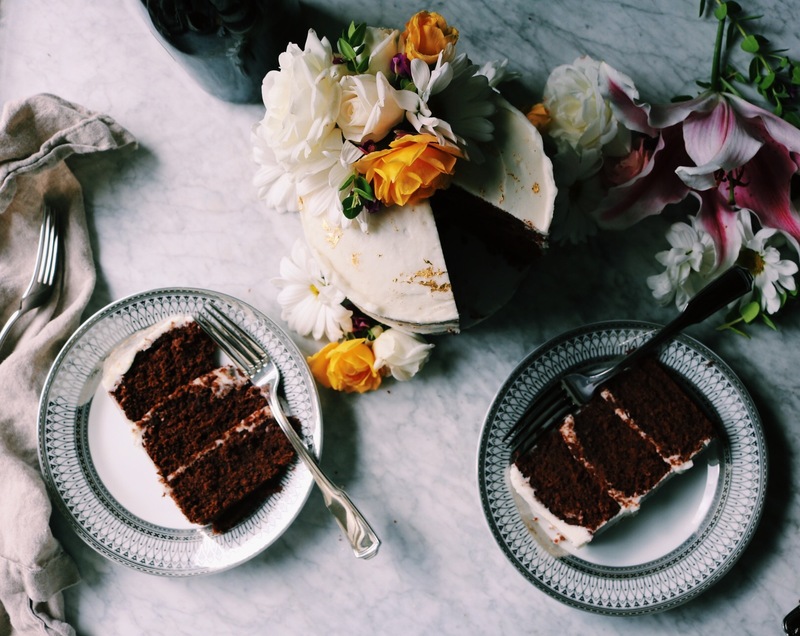 Additionally, you’re baking with booze…always a plus. And, as if all that wasn’t enough, she’s a stunner. I mean, look at her. No really, look. So as much as I love you all and I’d love to gas on about my chickens and stuff, I’d like to get straight to the recipe today. 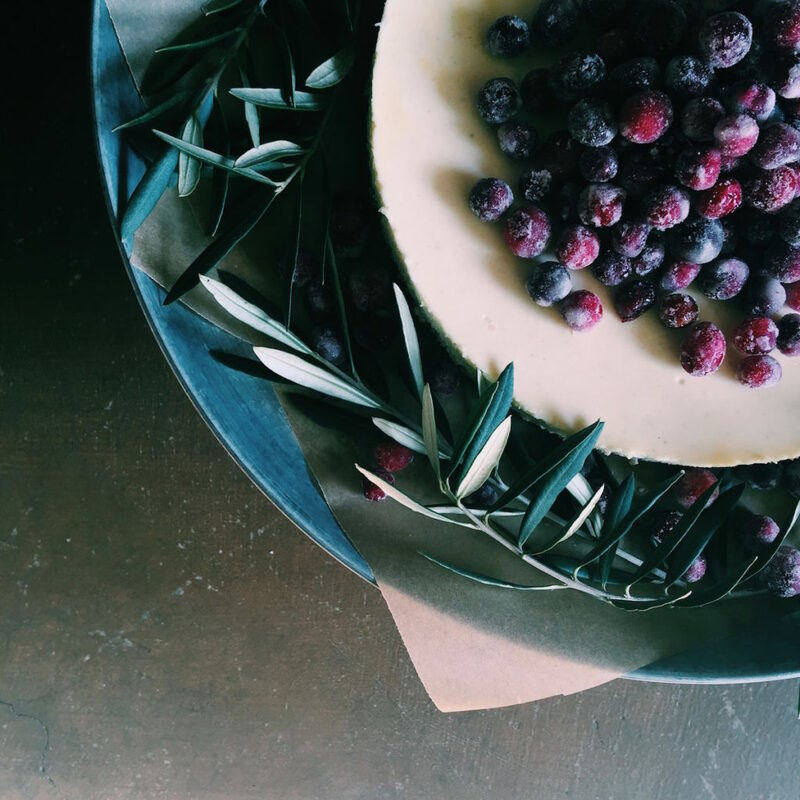 OK, let’s talk sugared cranberry cheesecake. Add the spiced rum, five-spice powder, ginger, nutmeg, orange zest and juice. Fast forward in time to at least eight hours…Drain the cranberries. Save any liquid for a boozy cocktail. I’m thinking this simple syrup, vodka, some soda water, a squeeze of fresh orange juice and some cranberries floating about. 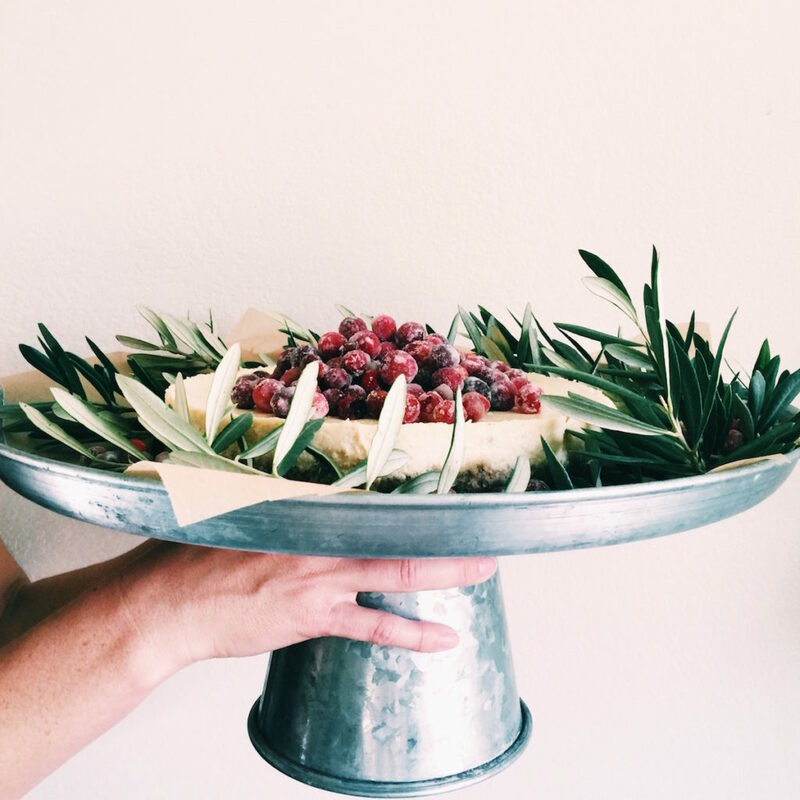 Roll the cranberries in the superfine sugar and set them on parchment paper to dry. Should take about two-ish hours. These can sit in an airtight container for a couple of days. Put the graham crackers, pecans (if using), brown sugar and spices in a food processor and pulse until the mixture becomes a fine crumb. Drizzle the melted butter on top and pulse until just mixed. Press the mixture into the bottom of either the springform or the pie pan. Place the crust in the oven for 10 minutes or until it starts to turn a little golden. Don’t walk away and do something else here. It can happen fast and you don’t want it to burn. When done, set the crust aside to cool. Add the room temperature sour cream, rum, cinnamon, ginger, nutmeg and salt. Mix on low for another 2 minutes until well blended. Use the side of your spatula to smash down any rogue chunks of cream cheese that are resisting blending in with the other folks. Turn the oven temperature to 250 degrees F and bake for 1 hour. When ready to serve, open your springform pan. Do this slowly. If the cheesecake is pretty well connected to the pan, use a sharp knife to run around the outer edges of the cake…do this by the sink and periodically run the knife under warm water to clean it and make the cake release easier. 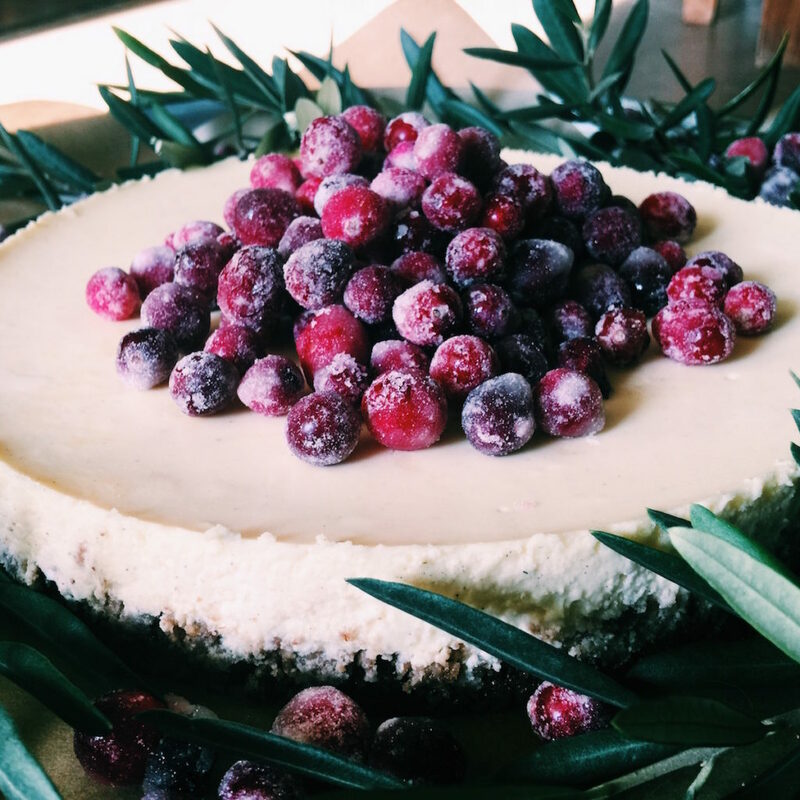 Get crafty with the sugared cranberries…I wanted them on top and around the base, but you could be super OCD and line them equidistant around the edge. I won’t judge. 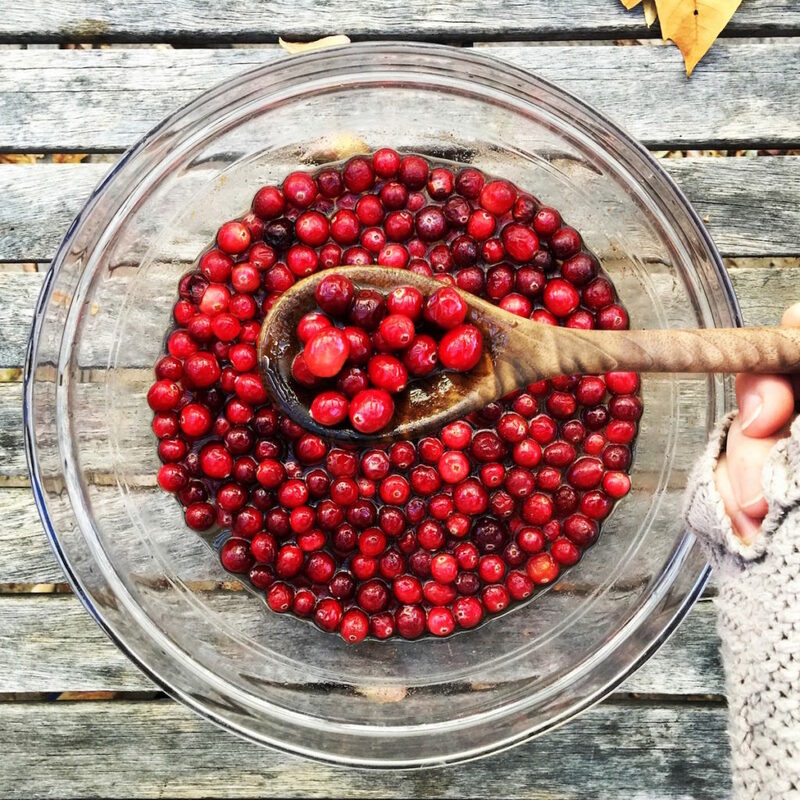 You’ll have leftover sugared cranberries and as far as I’m concerned, every room in the house should have bowls of these lying around. They look like jewels. You could also use your leftovers to make this coffeecake. 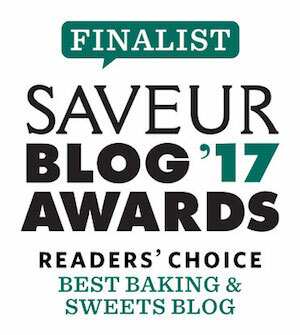 More holiday desserts to muse on: apple-cranberry rosette tarts, salted caramel pumpkin cheesecake, chocolate pudding cakes and amazeballs chocolate espresso cake. What’s that you say? 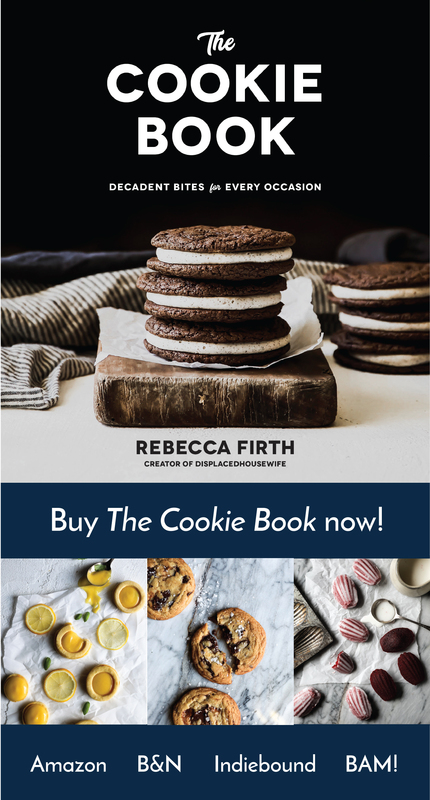 Not into chocolate for the holidays? I don’t know what you’re talking about. Lastly, but definitely not least…I wanted to give a shout out to several more companies that have given me some social media love lately: Mina, Zwilling (the awesome Henckels knife peeps) and Hatchery. First of all, LOVED the interview and second, these photos are GORG!!! !